Even before I lived in France, I loved going to the French supermarkets when on holiday. Not only during our stay, but we absolutely had to make a stopover in a “grand surface” to stock up before going home. I could easily spend three hours walking through the aisles of the supermarket checking out all the different food, drinks and other products. 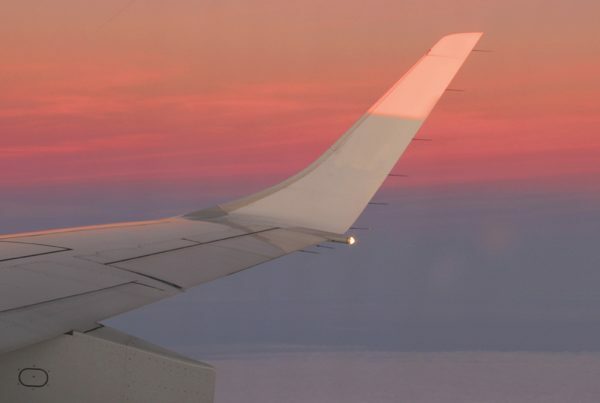 After living in France for more than nine years (nine years already! ), my supermarket visits usually don’t take 3 hours anymore. And after all this time, I can say that I do have some favourites. 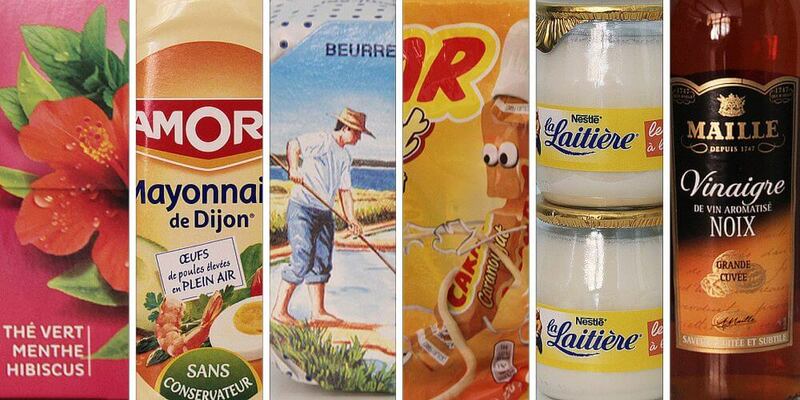 Time for a top 10 list of my favourite French supermarket products, in random order. 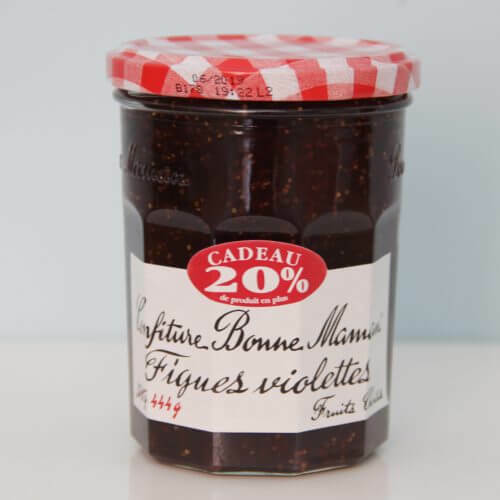 At first, I was only eating these small yaourt à la vanilla because of the lovely glass jars they come in. But after all this time, I stopped collecting the jars (if not I would be living in a glass house). I still buy the little yoghurts though, as I really like the flavour and texture of it as does the whole family. And the quantity is just perfect to end a dinner. Widely sold around the globe. 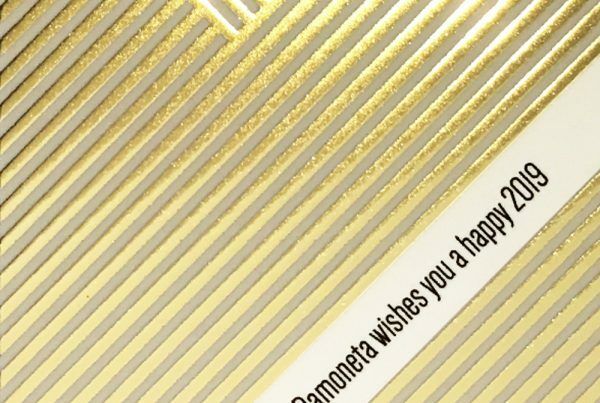 However, this brand remains my favourite. My number-one flavour is the fig-with-violet one. 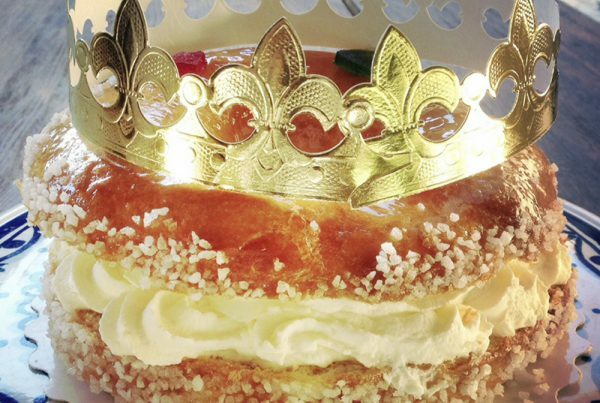 Not too sweet and just heavenly on a freshly baked baguette. With a big layer of butter. Real butter that is. 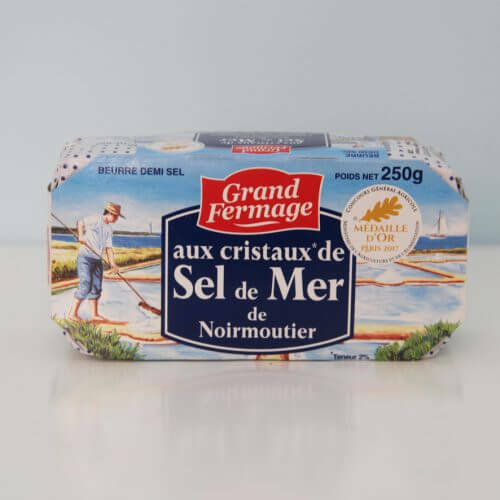 Talking about butter, the French have this delicious real butter with crystals of sea salt in it. And it just goes perfectly with any hearty charcuterie and/or cheese platter. I also use it to make the most divine salted caramel. For this, you heat 150 gr of white sugar with 40 ml of water until caramelised. Add 60 gr of cold salted butter and finish off with 2 tbsp of crème fraîche. Oh là là! 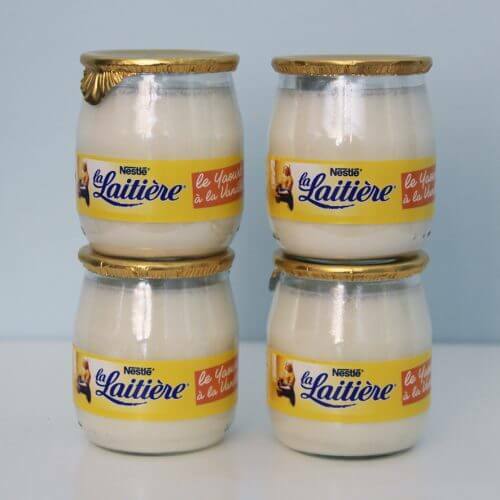 When I was little, I absolutely hated the taste of French mayonnaise. In Holland, our mayonnaise tastes sweet, completely different than the French one. 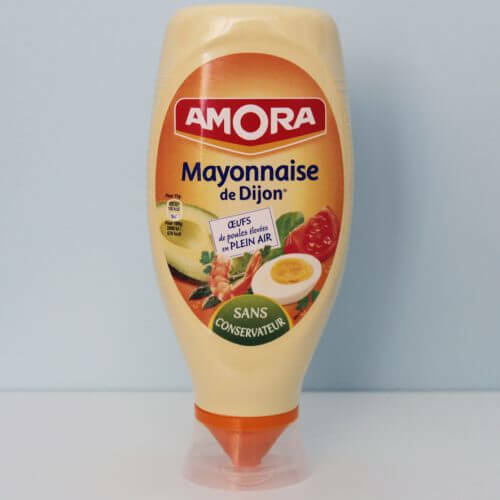 Now, I completely love the slightly sour taste of the French mayonnaise. I have to force myself not to eat it all the time, but it tastes so good with almost anything. Crevettes and mayonnaise de Dijon is the best combination in my opinion. This drink couldn’t be any Frencher and reminds me of the great summers we spent in France when I was little. 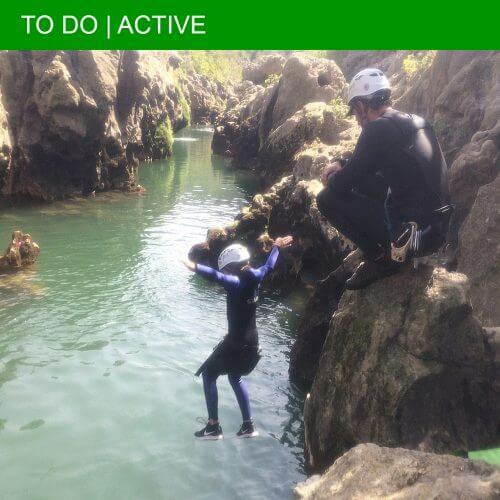 Funny to see that our kids also love it. It got changed over the years, it already exists since 1974, but only for the better I think. No more artificial flavours and colours are added. And you will find more flavours than back in the seventies I suppose. However, our kid’s favourites remain the classic ones: strawberry, chocolate and vanilla. One of my all time favourites: this ready rolled puff pastry round. What an invention! No need to defrost five little squares of puff pastry anymore and try to create some sort of even round with it. Nooo, you just open the package, roll the puff pastry round into your mould and off you go. Love it! When living in France, you cannot eat croissants all the time. At least, I can’t. So I am preparing a lot of salads for lunch. One of my favourites is a salad with walnuts, compté cheese and small smoked bacon bits. 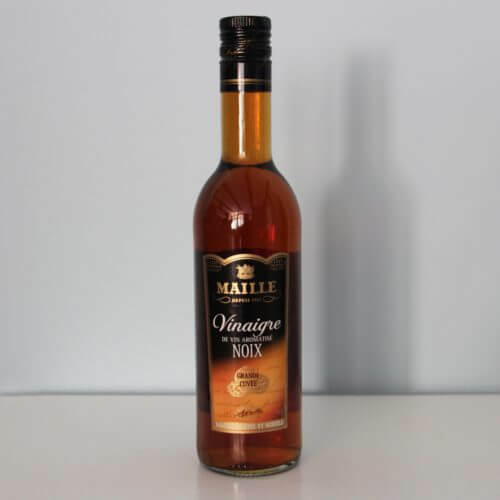 Including a dressing of this wonderful walnut vinegar and virgin olive oil. Simple as that, but it tastes out of this world. As I am more of a tea person, I am always looking for new flavours to try. After all these years, I finally understand the difference between a “tisane” and a “thé”. My preference goes to herbal teas, the so called tisanes. 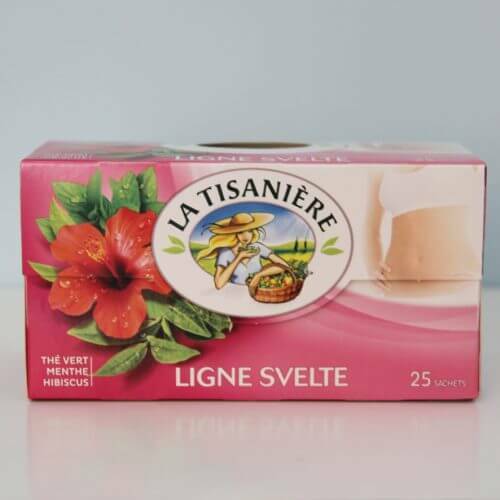 And since a very long time, I am hooked on the grapefruit flavoured tea of La Tisanière. Fresh, not too sweet or artificial, this tisane is just perfect for me. 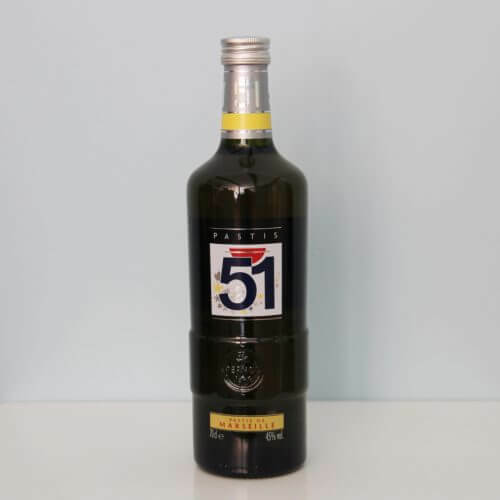 There are two main brands of the anise-flavoured spirit “Pastis”: Ricard and Pastis 51. When living so close to Marseille, you have to have a Pastis 51 for apéro! I didn’t realise until now that Pastis is, in fact, a watered-down version of absinthe. I never got mad drinking it though, as you add even more water when serving it. Pastis is also great to use in the kitchen; it really spices up your seafood dishes. 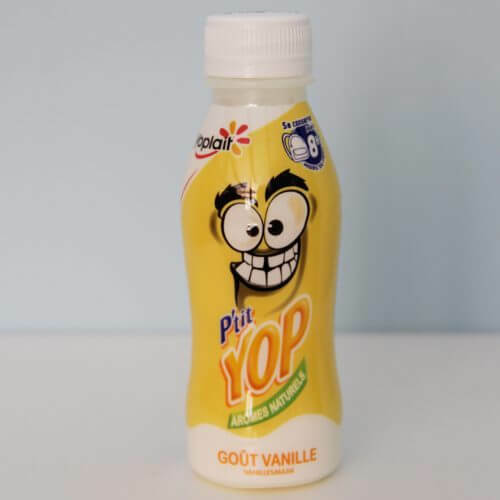 Four o’clock in the afternoon is goûter time for every French kid. And it’s sacred. It’s the time for kids to have a snack, to keep them going until the late dinner. Biscuits, sweets, bread with a chocolate bar, crêpes, you name it, as long there is a lot of sugar involved. 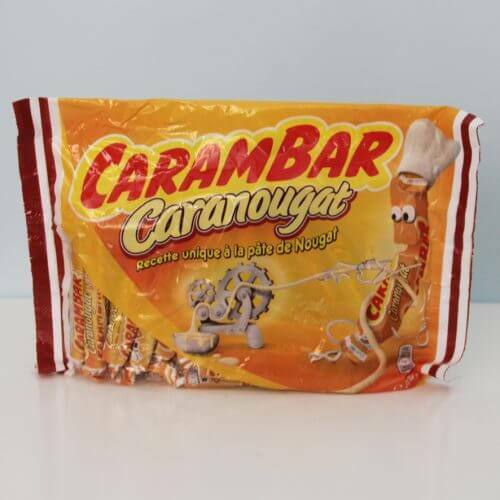 Our kids prefer having some sweets, with the chewy caramel candy Carambar as one of their favourites. I personally prefer the nougat flavoured one. 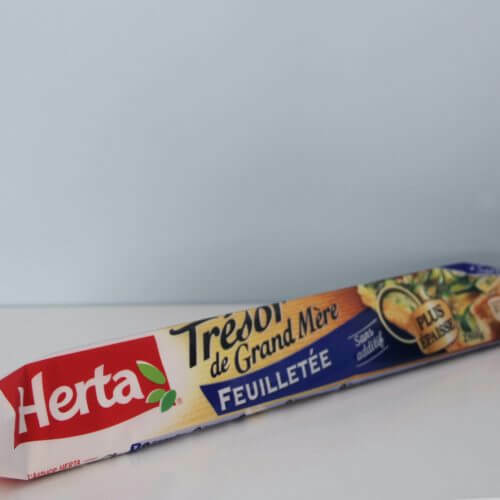 Oh, and don’t try to understand the little French jokes on the inside of the wrapper. Nobody does.